I first saw the phrase “Draconis! Draconis! Draconis!” used in some of the ritual incantations in D.J.Conway’s book, Dancing with Dragons, Invoke their Ancient Wisdom and Power (first published 1994) when I read the book some years ago (I have the 2004, 14th edition). I enjoyed reading it, though not everything in Conway’s book “sat right” with me, but that’s just personal opinion. It also didn’t appeal to me to be calling to the Dragons in Latin so I’ve never used Draconis! Draconis! Draconis! in any of my own rituals. However, to each their own. A lot of information from Conway’s book has ended up online and every time I see the phrase Draconis! Draconis! Draconis! on a website it stands out like a beacon showing where her work has been repeatedly copied. Yes, I do have one example of her rituals here as well, but I have acknowledged the source and included a link for people to buy the book, unlike the majority of other websites that have spread her work around. Her second book on Dragon magick — Mystical Dragon Magick, Teachings of the Five Inner Rings (2007) — builds on the work in the first book (I have the 2009 third edition) so of course also uses Draconis! Draconis! Draconis! “Awesome Grimoire! !” I would recommend this book to anyone who fancies the Grimoires of old. The artwork is beautiful and the Ritual liturgy is in perfect Form. This grimoire is also perfect for pagans of all paths and traditions. This is Ceremonial magick for Pagans without any Judeo-Christian influence that one finds in other grimoires!! Get it!! Hear the word of (name), your master and keeper. in this your image, that you may work my will. I find it rather odd that I hadn’t come across this wonderful little book before now — silly me — the information was right under my nose all these years, lol. Oh well, for whatever reason I wasn’t meant to find Corrigan’s book until now. It is published by Lulu.com and available in hardcover or paperback and is also available on iTunes. I found it interesting that that Ricard’s book uses the same names for the elemental dragons as are used in Conway’s book (Sairys, Fafnir, Naelyan, Grael) with a minor difference in spelling (Fafnyr) but makes no reference to her book which was published 9 years before his and appears to be the origin of these names. Ricard also presents a chart of Dragon Script which is identical to that shown in Conway’s book. Conway says in her book, “the accompanying chart of Dragon Script or alphabet was taught to me by Fionna, a spiritual entity who appeared in dreams, in meditations and during trance. I have no idea where or with whom it originated, for she never told me.” Hmm… again, no acknowledgment in Ricard’s book of where he got the alphabet from. Coincidentally (!?) a comparison of the tables of contents of Dancing with Dragons and La Magie des Dragons shows a lot of similarities in the section titles and the order in which they appear, but also some differences with additional information on ceremonial magick being included in Ricard’s book, which of course is why I wanted to read it. The only way I can do so (as I don’t speak French) is by converting the scanned images of the pages to text and then putting that through “Google Translate” — I haven’t gotten very far with that unfortunately as it was more difficult to do than I thought …oh well, maybe one day. This new book, published in July 2016, is essentially a redo of Marc-André Ricard’s original La Magie Des Dragons with a few additions, rearrangements, patches and improvements. At least now I finally have a copy of it! 🙂 …even though it is written in French, which I can’t read …oh well, I’ll figure out some way around that. I found this book purely by “chance” when I decided in early August 2016 to look again for Ricard’s original Dragon book to see if it had been republished or if there were any secondhand copies available for a decent price. I was pleased to find this new edition of Draconia available on Amazon, so I bought it, but not before checking to see if Ricard’s website was accessible again, as it had been offline for quite a while. Yes, the website was back, but it only had the original book advertised on it, so I headed back to Amazon to buy the new book. It took a couple of weeks to arrive but now that it is finally here I’ve checked Ricard’s website again and found it has been totally redesigned and updated. 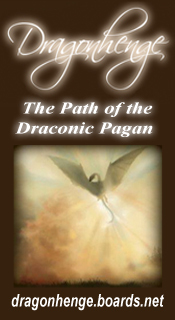 For the first time in the esoteric literature disclosed the True Teachings of Magic Draconic. Dragons have always existed. Wrongly represented in stories and legends as evil and malevolent beings, they are above all power of archetypes, of nobility and wisdom. Their role is to be the guardians of a priceless treasure: an amazing esoteric and spiritual knowledge and extremely powerful. Dragons, holed up in the astral world, reveal and share their knowledge to those who prove themselves worthy and prove the righteousness of their intentions. 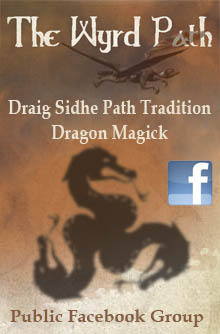 The Art of Magic Dragon allows the serious researcher and sincere student to resonate with Dragonsworn vibrations. 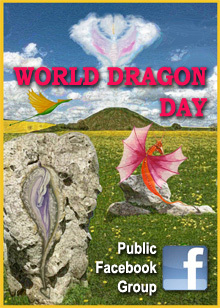 It is then possible to inquire into the teachings dragons, learn to work in harmony with them and get their assistance in the conduct of our daily life and our magical and spiritual journey. 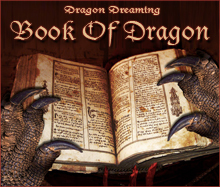 Although it offers several effective rituals promoting contact and the development of cooperation with the dragons, this book is not a vulgar grimoire. 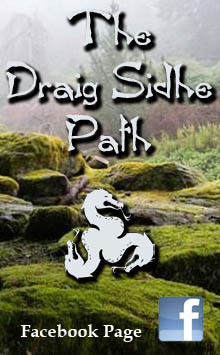 It reveals the true magic of Draconic processes allowing the student engaged to perform wonders in magic and blithely walk on the spiritual path. It also reveals the existence, role and description of different types of dragons. True science, the Magic Dragon can not be regarded as a mere hobby. It is a path of personal growth and integral development of the person who is doing it with seriousness and integrity. Marc-André Ricard’s book is a major work on High Magic and dragons. The new version of Ricard’s website also contains a list of the books he has in his personal library …some very interesting titles and authors there! This entry was posted in Books, Dragon Magick and tagged D. J. Conway, Dancing with Dragons, Draconia, Ian Corrigan, La Magie des Dragons, Marc-Andre Ricard, The Book of the Dragon. So I am sure that he was not malevolent in not translating his work. If we consider the three books you presented, Dragon Magick always strives to create an intimate link between a dragon and a human, right ? On the other hand, “classical” magick, let’s say “Golden Dawn” Ceremonial Magick, is not aimed at creating such a link. You study high, low magick, elemental stuff, astrological patterns, that’s all ! So, when a “daraco” practitioner (named “A” for convenience) talks about Dragon Magick to a “classical” magick practitioner (called “B”), there are actually 3 persons involved in the relation : “A”, “B” and…the dragon keeper of “A”, which I will call “d(A)”. 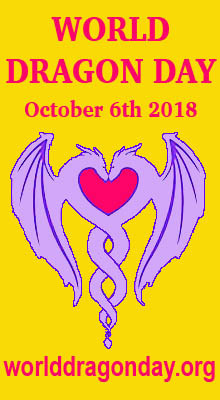 Let’s imagine now that both A and B are draconic practitioners : You have A, B, d(A), d(B) without counting common friends to both d(A) and d(B) ! You begin to see the point ? Whenever it is asked whether A has copied onto B, always is forgotten the hidden social network created inside Draconia, with d(A) and d(B) at least ! So, if the draconic script (and I agree with you) appears both in Conway and in Ricard, has Ricard copied onto Conway, or does it come from the same authentic spiritual source ? This is the definition of “anti-science”, a system that can justify itself by the means of itself (see “Durkheim”, etc…). And there is only one way to overcome such a paradox : Both having the bravery to receive Draconia, and having the intuition of the consequences of such an acceptance.